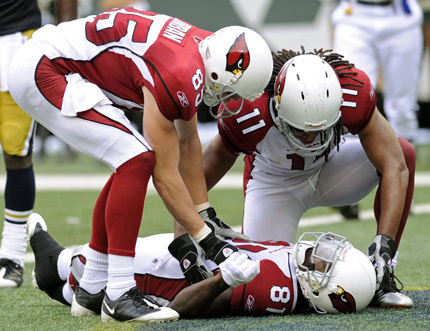 ...cause while they worry bout Fitz and the booth talks bout Mr. Ward's pimpness, Anquan's gonna catch the game winna! HAVE BLAST HOMEBOYS & MAKE SURE UR WASABI FUNYUNS HAVE A TEQUILA CAVIAR DIPPING SAUCE...ITS FRAT-TASTIC! This page contains a single article from February 1, 2009 12:25 PM. The previous days article was SUPER BOWL HANDICAPPING. The next days article was WINNER CHICKEN DINNER HOMEBOYS.